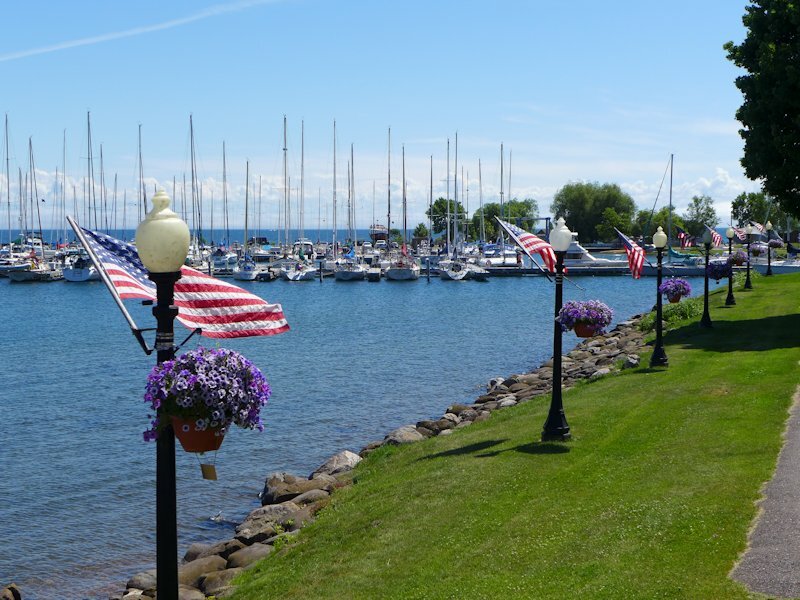 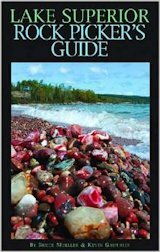 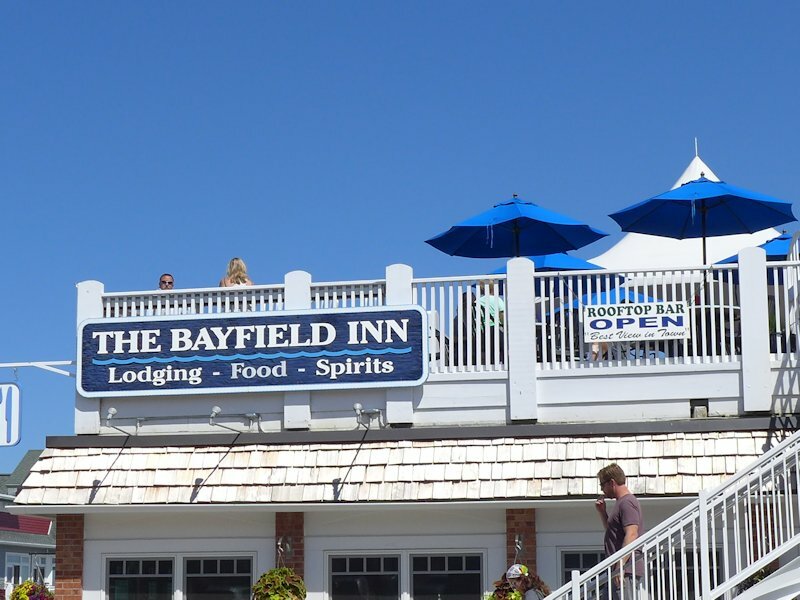 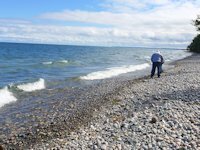 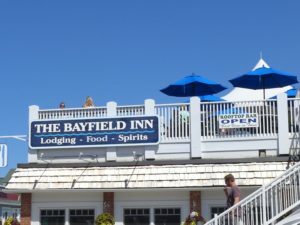 The middle weekend of July is Bayfield’s Annual Festival of the Arts & Gallery Tour. In 2017 this will be the 55th annual celebration (July 15 & 16). 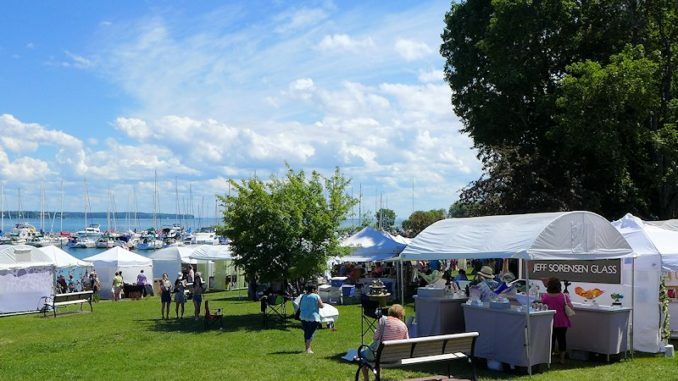 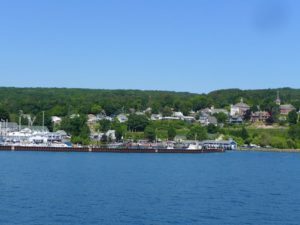 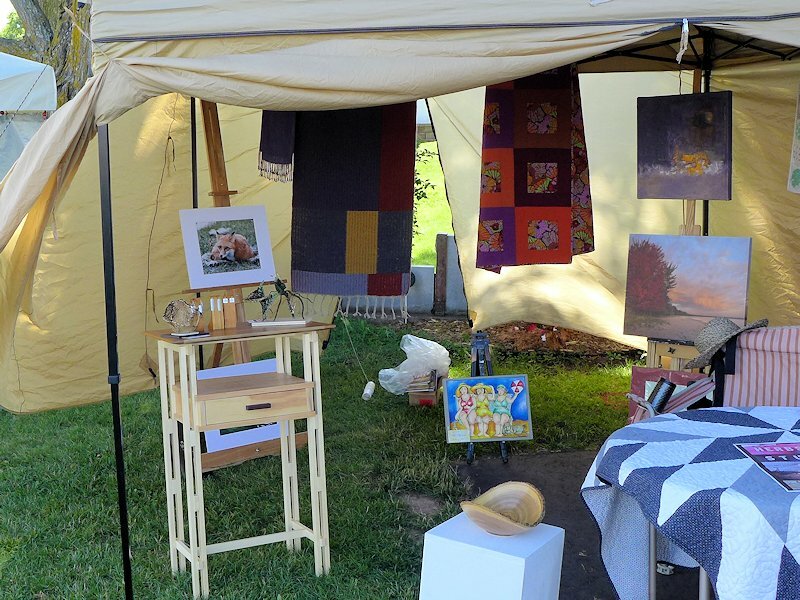 The arts and crafts portion of the event is held in the park along Bayfield’s waterfront and includes a variety of traditional artistic media (paintings, sculpture, photography, etc.) as well as unique craft items like pottery, jewelry, wood carvings, and more. 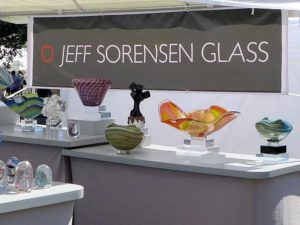 In addition there is Gallery Tour where a number of local galleries and artisan studios host open houses, gallery exhibits, special sales and working demonstrations of their crafts. 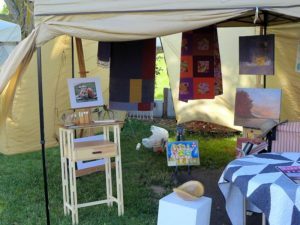 Oil paintings, watercolors, photographic art, wood sculpture, fiber arts, and more. 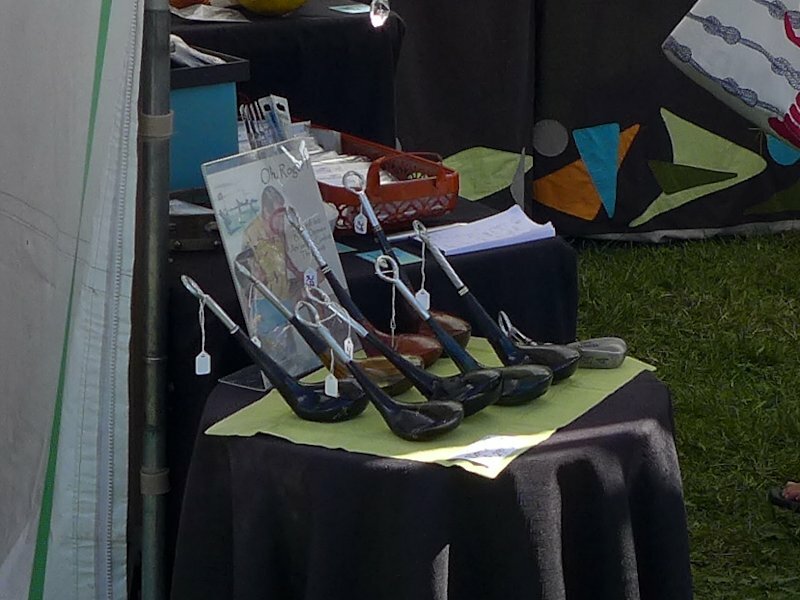 What to do with your old golf clubs? Turn them into artistic bottle openers! I loved these glassware pieces but so delicate I would be afraid to touch them. 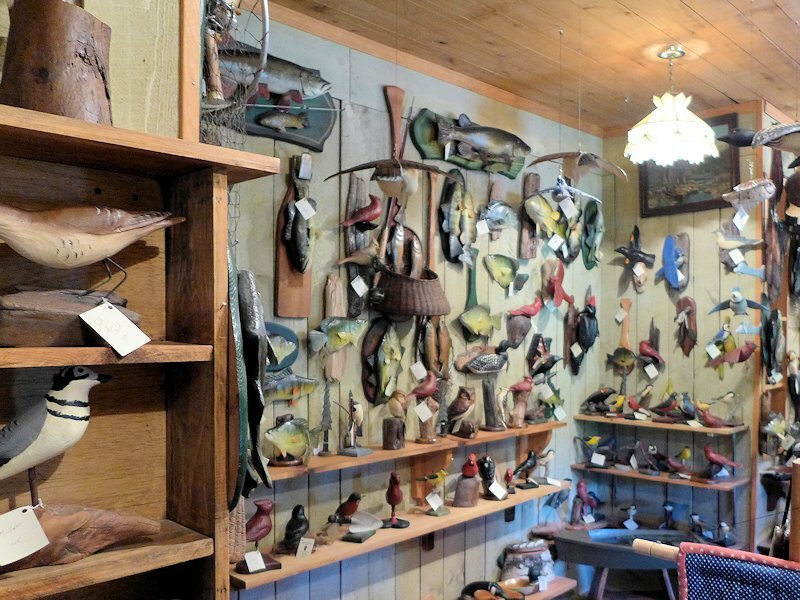 On the way out of town we stopped in at the WoodCarvers Gallery. 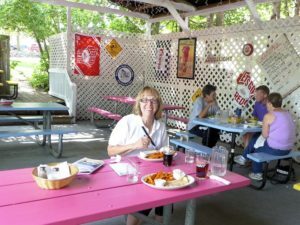 Having a Whitefish Fish Basket and South Shore Brewery Nut Brown Ale at Greunke’s Beer Garden. 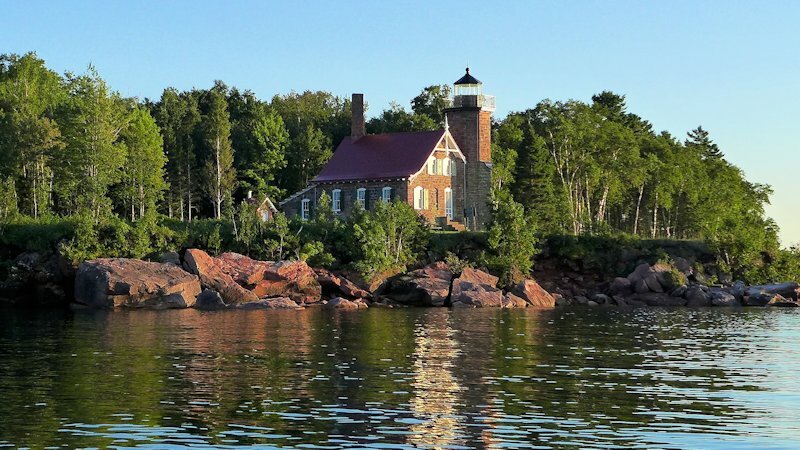 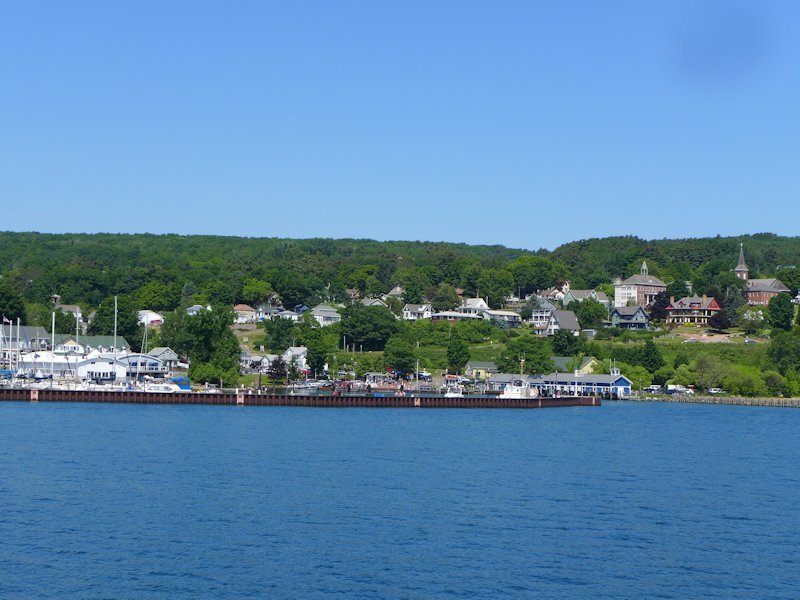 Returning to Bayfield on the ferry after spending the day on Madeline Island.